The Prime Minister, at a recently held press conference has stated “cabinet has decided to defuse economic land mines without allowing them to explode and one of those mines is SriLankan Airlines”. Having said that, he has reportedly recommended to the cabinet of ministers, the absorption by the state of the national carrier’s carried forward debt amounting to Rs 461 billion (USD 3.2 billion). During the same press conference, a senior minister for Special Projects has stated, the ideal arrangement will be to convert the national carrier into a public-private partnership having a 60% stake with the government and 40% stake with the private sector. He has quoted the 1998 agreement with Emirates. He has supposedly further stated the logo of the airline will not be changed. It is also reported, the Deputy Minister of Power & Renewable Energy has stated at a media briefing, the government will keep the ‘right to administer’ the national carrier though a stake of it will be given to the private sector and it will be converted into a private public partnership. He has also stated, “Government will continuously control SriLankan Airlines despite the conversion of it into a private public partnership”. He has further stated the changing of the logo and name of the airline lies with the new management and the government is not looking at retrenching existing staff of SriLankan Airlines. He has given an assurance the privileges enjoyed by the 6,700 employees would not be changed. One is bewildered. Why is a senior minister for Special Projects and Deputy Minister of Power & Renewable Energy making such statements in the first instance? Should not such announcements be made by the Prime Minister, the line minister in charge of SriLankan Airlines (in this instance Minister for State owned Enterprises) or the cabinet spokesman? Since the senior minister for Special Projects made his comments in the presence of the Prime Minister, it has to be assumed all that he said has prime ministerial endorsement. The previous exercise of privatization in 1998 was on the basis of 51% by the state, 40% by Emirates and 9% by staff. Both the global aviation industry and the world is aware of the manner in which the exercise ended with the CEO being virtually deported as a result of his refusal to agree to a request to off-load the entire Business class cabin to accommodate a presidential delegation. Investors and airlines the world over is well aware of what a Sri Lankan government is capable of as a majority shareholder even without management powers. As such, what is the wisdom of such statements, especially at a time the search is on for a foreign investor / management company? It is rumoured, the government is in the process of preparing a RFP (Request for Proposals) outlining requirements from outsiders wishing to invest as well as manage the loss making airline. Changing of name and logo of any company is not a matter for politicians but for those managing the company. Companies periodically undergo a process of rebranding, especially when a name and logo is associated with poor performance and a need exists to relaunch the product. No loss making company ever came out of it without downsizing staff strength. SriLankan Airlines’ current manpower to aircraft ratio is a whopping 340 staff per aircraft when international industry norm is around 150 – 175 employees per aircraft. Some of the rights won by employees through CBAs (collective bargaining agreements) negotiated by previous managements are thoroughly unsuitable and will not be tolerated by any foreign company. Two such examples are; Technical and Cabin crew are provided transport to and from their homes even as far as Gampaha, Panadura etc. This practice, at times requires more than one vehicle to be deployed to pick up / drop crew for one flight. The annual cost of crew transport exceeds LKR 300 mil. No other airline is known to provide such a facility. Ridiculous allowances negotiated by the FAU (Flight Attendants Union) such as Special Premium Allowance, End of Year Payment, Attendance Incentive up to 150% of Basic Pay if 14 days Sick / Casual Leave is not utilized, Tea and Meal Allowances even during flights when cabin crew are provided with tea and meals and Productivity Payments ranging from USD 6.50 to USD 20 per block hour paid simply for reporting for work. To encourage continuation of such practices by making such statements is to be grossly irresponsible. Is it this government’s contention the prospective new investor / managing company should continue such unhealthy practices? If that be the case, what would be the purpose of this whole exercise? The privatization exercise must be evaluated not in the context of employees who will lose privileges or be rendered unemployed but in the context of the Rs 461 billion ‘economic landmine’ the Prime Minister has now decided would be underwritten by the Treasury a.k.a. every man, woman and child in this nation will pay Rs 21,952 per person. Lessons can be learnt from the manner Air Ceylon handled its retrenchment program in 1978/9. 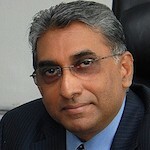 A former SriLankan Airlines colleague, who had been General Secretary of Staff Officers Union at Air Ceylon, narrated to this writer, the agreement reached with Prime Minister JR Jayewardene. He had agreed with the unions, the new airline would absorb maximum possible number of staff. The government would find alternate jobs in other Government bodies for some other staff. The rest of the staff would be paid compensation according to existing labour regulations. Their privileges were gone for ever. It is abundantly clear from the said statements and several other statements by politicians in the recent past, this government and ministers have no intention of giving up their “right to administer”. Their intentions are crystal clear. They wish to interfere in relatively minor issues such as the name and logo of the airline as well as in more serious issues such as reduction of staff, removal of staff privileges etc., their inexperience and ignorance in such matters notwithstanding. The “right to administer” need be removed at all costs. If not, the airline will continue to be an expensive toy available to our politicians for abuse and misuse. It is necessary for the state to understand, the failures of Air Ceylon, Air Lankan and SriLankan Airlines was chiefly due to mismanagement of the carriers by successive Governments, self-serving politicians and the incompetent minions appointed by them since 1947. It is now time to think ‘out of the box’. After 69 years of continuous close involvement and ‘right to administer’ the three carriers, would it not be wise for the state to take a back seat and play the role of a minor shareholder with no more than 15% of equity? It has worked in many other countries and could very well work in Sri Lanka as well. Furthermore, it would be the only way to avoid the need for the state and by extension, the people having to underwrite losses amounting to billions of rupees, for the third time once again thirty some years in the future. Where Were UK Experts In Our Hour Of Need?